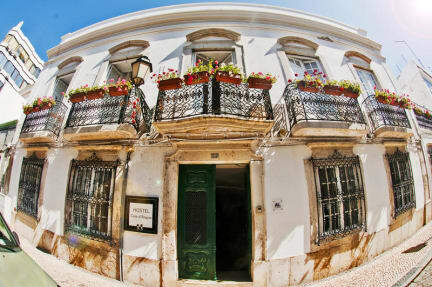 Probably the best hostel to start off in Faro. Very friendly atmosphere, and a good place to meet amazing people. I loved the dinner organised every evening, it's a good way to meet other people living in the hostel. Everything you could want from a hostel! The staff are amazing! The location is PERFECT! If you don’t have the hostel saved on Google Maps or Maps.me, you may walk right past it, as the hostel blends right in. They’ve done a great job turning this Portuguese home into a modern hostel. The staff were super helpful. I booked the Hop on/Hop off Island tour through them- highly recommend! I ate supper with them, which was prepared by their chef, a girl from Thailand. I had a bus booked for 0215 and they allowed me to chill in the common area without charge! Had a great time here! Dinner in the hostel is a great way to meet others while enjoying good food. Can't complain about 2 for 1 beers during happy hour as well. Definitely recommend! I loved this place and the people who work there. The food at dinner was just ok, but I enjoyed meeting my fellow guests in this family type setting so much, that it was wonderful! Amazing stay. Good shared spaces with a nice atmosphere and easy to socialise if solo traveller :) Also amazing staff who are very helpful and friendly.